Our practice is pleased to offer the Lending Club's Patient Solutions. A variety of flexible plans provides patients with the funding flexibility they need! You can calculate monthly payment options or you can place an application. For more information on this attractive option, just ask our team or visit Patient Solutions. We’ve all seen the movies where people stand in the bathroom and suddenly pull out their dentures and place them in a nearby cup. It’s enough to give you the willies, but dentures are a normal and needed aspect of dentistry. In fact, there are some that are permanently placed into the mouth…no bathroom cup needed. 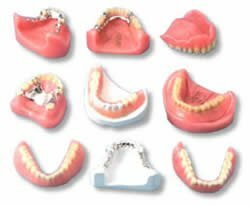 A denture is an appliance that replaces your natural teeth and provides support for cheeks and lips. Dr. Ed is skilled in denture procedures and offered four different types of partial and full dentures. Copyright © 2018 Edward J Monroe DDS, All Rights Reserved.